Thanks to Bill, Rupert, Toby, and Lucas for playing against the Winchester College 1st IV on Saturday. In beautiful Spring conditions the match was a close affair with Wessex loosing the doubles by just 10 points. 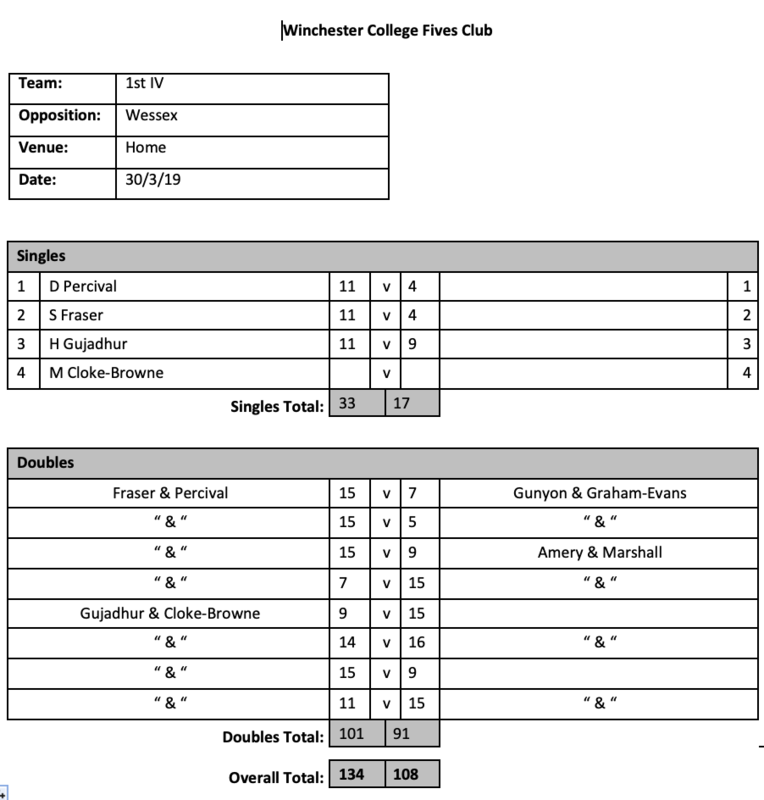 In a desperate attempt to close the gap the non playing Wessex Manager suggested that singles was a good idea- our team who had given everything on court during the doubles were all ‘delighted’ to run around against opponents 1/2 (or even 1/3!) their age and despite their best efforts sadly we lost the singles as well. Thanks to Jamie and the College boys for such an enjoyable fixture.